No dairy products for El so Mrs Eio can’t use butter for their popcorns. 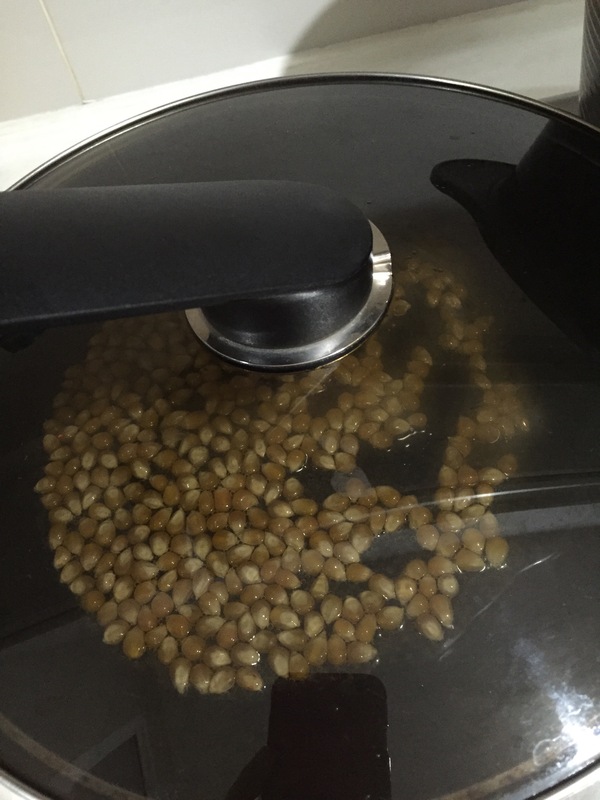 It’s not the 1st time Eio kids are requesting to make their own popcorns. Mrs Eio has already bought a packet of dried corns. 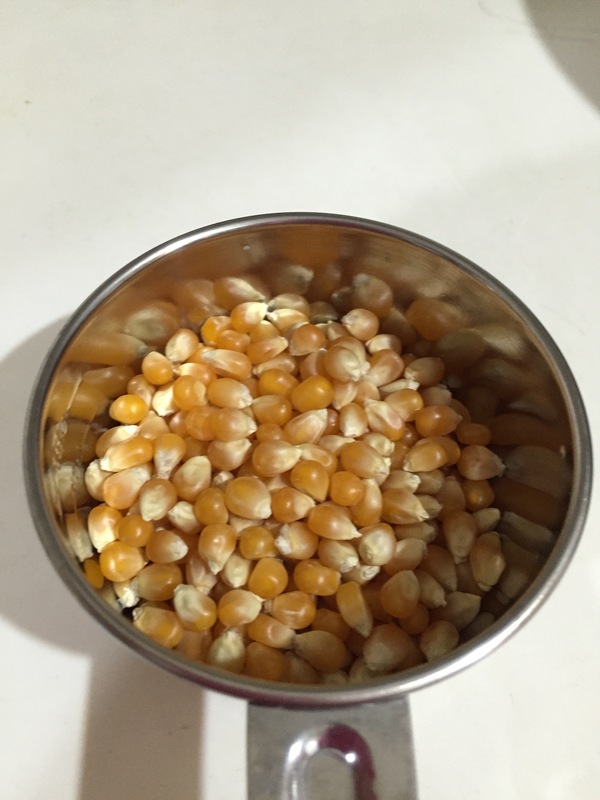 Well… Let’s pop some corns & enjoy it while watching F1 race on TV! 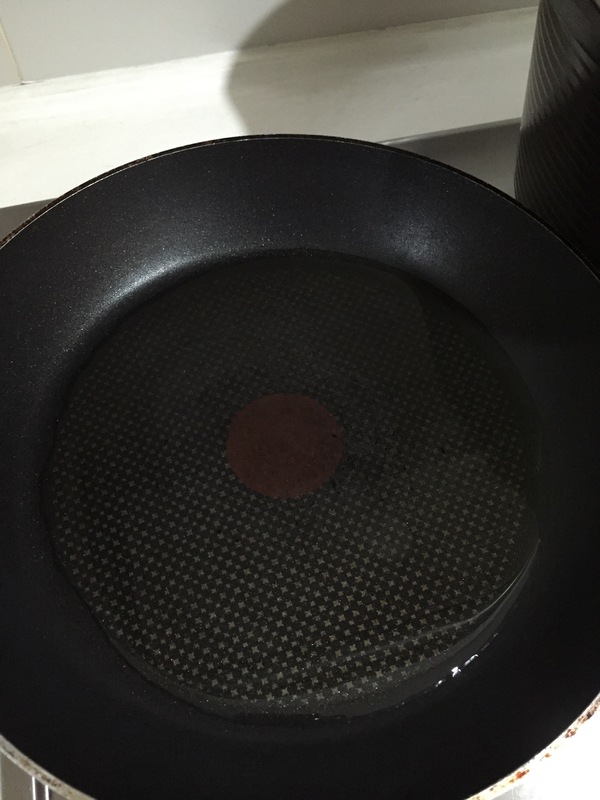 Heat up a pan. Mrs Eio uses olive oil as El can’t eat butter. 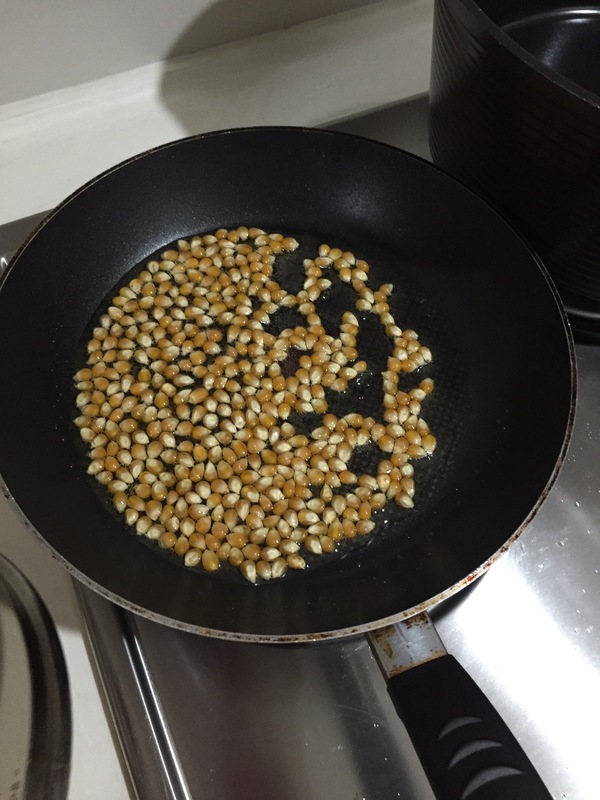 Once the oil heats up, pour in the dried corns. Please make sure the frying pan is covered. Otherwise the corns will be popping everywhere!! Mrs Eio prefers sweet& salty popcorns. So she adds about 1/3 teaspoon of salt & 2 teaspoon of sugar to the popcorn. 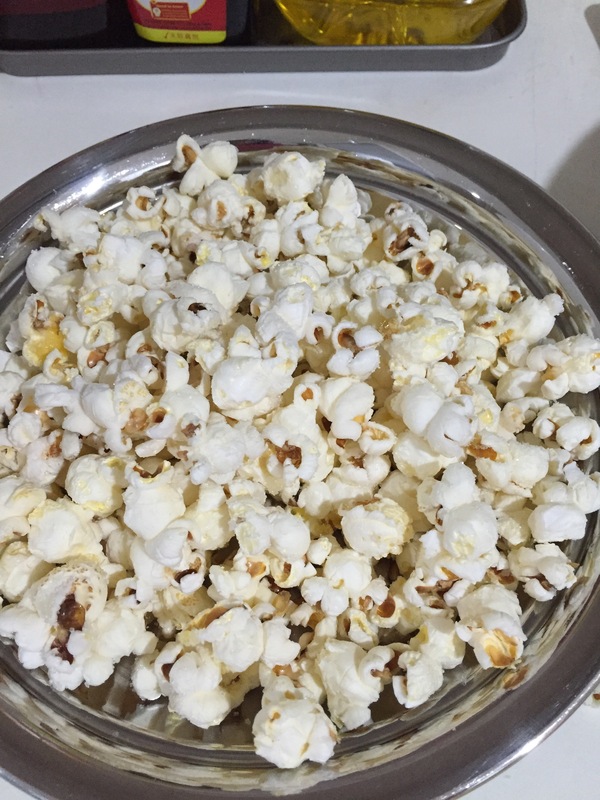 From Mrs Eio’s experience, it’s better to add the salt & sugar after placing the popcorns into the serving bowls. Otherwise, the sugar might burn in the hot pan. 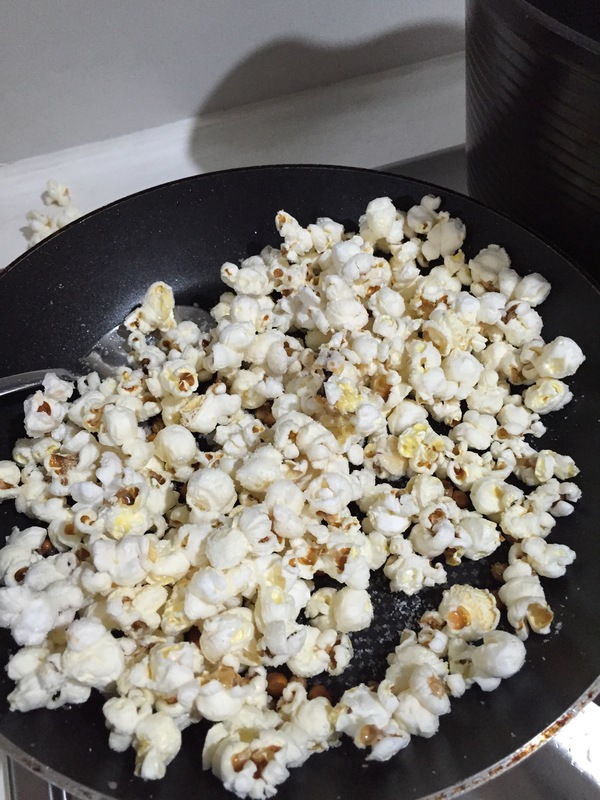 Toss the popcorn after adding the salt & sugar. Please don’t judge the popcorn by its colour. It taste really good. Please view video below. Our excitement to see corns popping! !